Howard Lee is a British multidisciplinary artist known for his hyper-realistic drawings. Illusion, trickery and playful deception are the hallmarks of Lee’s hyperrealist drawing videos. Mixing an impressive array of media from Copic Marker through to Prismacolor Pencil and artist’s acrylic paint, Howard Lee presents a re-interpretation of reality that asks you to question the validity of the online world. Too bad the video quality is not up to par to the impressive work. This one is a little old, but since it is Air Max Month, I decided it was a good idea to bring it back. Doubleday and Cartwright was commissioned to create an illustrated genealogy and cultural impact survey of Nike Air Max, from designer Tinker Hatfield’s discovery of visible air to Air Reinvented, a collection of four classic styles revamped with Nike’s latest material innovations. 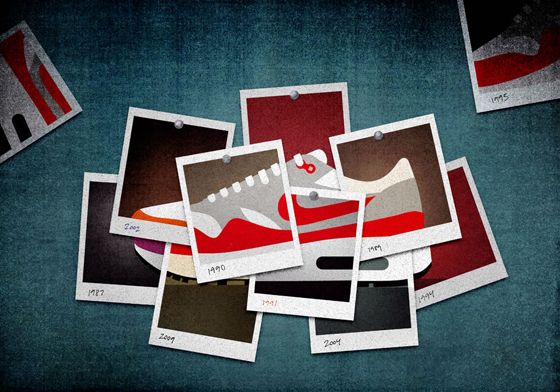 Through fun and fantastical key art, supporting illustrations and copy, D&C unlocked the hidden histories behind these collection favorites—The Air Max 1, a design conceived at Paris’s Centre Pompidou that ignited Nike’s most critical footwear advent; The infrared-accented Air Max 90, a veritable staple of the early Acid House scene; The anatomically-inspired curves of the Air Max 95; The Air Max 97’s metallic ellipses, perennially secured to the feet of creatives, club-goers and style connoisseurs alike. Before I get into it, let me state that I have not seen La La Land. I know, I know… However, the bits and pieces that I’ve seen so far reveal a very interesting palette of colors, settings and design. And because films like these tend to be promoted over a long period of time, festivals and screenings, the team behind it decided to create various posters and looks in order to keep things fresh and play with different ideas and executions. Lionsgate Studios, prides itself on creative marketing and mapped out at least a half-dozen ways to visually tease this Damien Chazelle musical. The posters range from the subtle (styles influenced by the classic covers of jazz albums) to the painterly. Sweetbread is the result of a week of artistic residency with Ugo Gattoni and Mcbess at the URDLA print shop, located in Villeurbanne. For seven days, the two artist friends ate together, drew together, cooked together, laughed together, and created this stone lithography entitled Sweetbread. This residency was the occasion for Ugo Gattoni and Mcbess to immerse themselves and experience one of the major themes of their illustrations – food. Thanks to Ben for the tip! Gary Hustwit, the director of the documentaries Helvetica and Objectified is working on his new documentary: RAMS, and he needs our help – if you are a Designer, or someone who loves Design, you need to pay attention and check out this Kickstarter project. The documentary will include in-depth conversations with Dieter, and detail the process behind some of his most iconic designs. This needs to happen! Hypebeast has teamed up with The Compound, a creative studio located in the birthplace of hip-hop, New York City, on Compound Conversations, a series of interviews in a surreal space curated by Set Free. In this episode, the esteemed “Godfather of Street Art,” Ron English, talks about the relative cultural isolation of his childhood in the Midwest, his first exposure to the art world, and the moment where it occurred to him that his art could go anywhere, legally or not. If you love Rube Goldberg mechanisms, you are going to love this video ad by SEIKO. The art of time blends the clockmaker’s artistry with 47 types and 1200 individual mechanical watch parts–some as small as 0.7 mm across! A stage setting of beautiful precision embodies the company’s slogan: SEIKO. If you enjoy and use gifs, other than for texts and sharing mean cats, you’re going to really enjoy today’s post. Last November, James Curran spent a month in New York City where he animated a new GIF every day for 30 days inspired by something that happened during his stay. Make sure you follow James for more animated goodies! This is an oldie, but I felt today was a perfect day to not only share this lovely work, but to also celebrate the life and music of one of music’s biggest icons, David Bowie… Canadian Illustrator Andrew Kolb created a beautiful self-promotion book inspired and based on the lyrics of David Bowie’s classic ‘Space Oddity’ and posted it online, for the world to enjoy and share. Take a look and enjoy one of the thousand pieces of work David Bowie inspired during his lifetime. Chances are, you’ve probably seen this video making its rounds on Facebook, but after a conversation with a friend today – who has not seen it yet – I decided to share it, because we all deserve to watch this impressive drawing. Only thing I can tell you is, this is no ordinary glass of water drawing. Enjoy! I am a sucker for collaboration projects, and this one, started by Al Boardman, Skip Dolphin Hursh and David Stanfield, is as hypnotizing and cool as it gets. 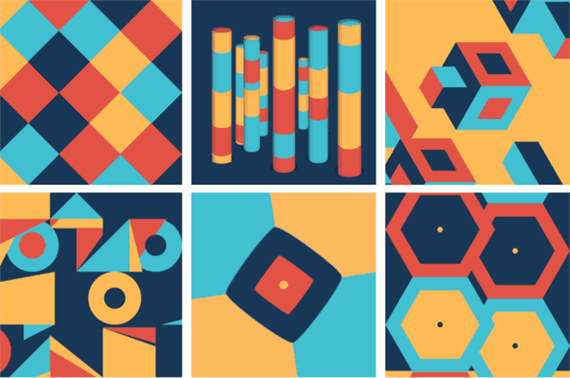 9 squares is a fun project where 9 different designer/animators collaborate, animating an abstract, 350px, 3 second animated square to make up a single GIF loop, from a 4-colour palette. I know, it may sound a little confusing, but the results are great! If you are a Type geek or a Designer, chances are you know who Jessica Hische is. For those of you not familiar with her work yet, this is a great way to meet her and discover her lovely work and impressive client roster including Starbucks, Target, Wes Anderson, The Wall Street Journal, MailChimp, and many more. Now that I’ve got you interested, get to know Jessica a little bit more thanks to this great video by the cool Like Knows Like folks. Happy Friday! Being that most of us were celebrating Air Max day today, I decided to bring this post back because you cannot talk about Air Max and Design without mentioning the talented Matt Stevens :) So, here you go! – Today I want to follow up on a post from last year. Why? Because I love this project (I’m sure you will also), I love my Nike kicks and because it is finally available for purchase thanks to all the support and love from KickStarter backers. I’m talking about Matt Stevens MAX100 book project. A beautiful high end book featuring 100 different, and beautiful, interpretations of Nike’s iconic AirMax1 or as Matt states it, “the greatest sneaker ever made.” Learn more after the jump, check out some photos, video and get yours today! 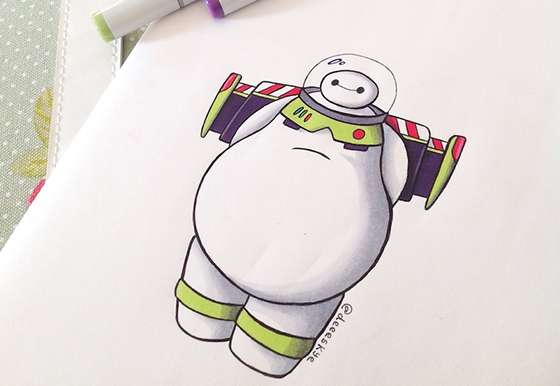 I’m going to say this post is mostly dedicated to my kids since they love Big Hero 6 / Baymax, but I also know that many of you us, love this guy (for the record, my favorite is still Wall-e). Demetria Skye really likes Baymax. How much you ask? Enough to draw awesome versions of him dressed up as Buzz, Wreck it Ralph, Aladdin, Elsa, Lilo and many other Disney, Dreamworks or Pixar characters. Check out Demetria’s great work after the jump and get ready to say awww at the office. 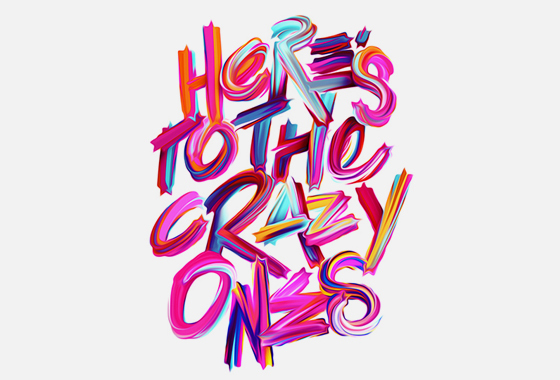 This one is for all you type and lettering lovers. I recently discover the great work of Australian designer and illustrator Luke Choice – specially his lettering project called “Notes to Myself” and had to share it. This series of typographic experiments based on random notes features interesting styles and colors that I am sure will inspire you. I mean, if you’re going to pin or post quotes around your office, make sure they are as cool as these. Enjoy them after the jump! FITC Tokyo 2015. Chaos & Control. Branding a conference is always a tough task. But branding a creative conference is a monumental task. Not only because you’ll have thousands of designers analyzing and disecting each piece – for good or bad – but because the concept and execution bar has been set really, really high. 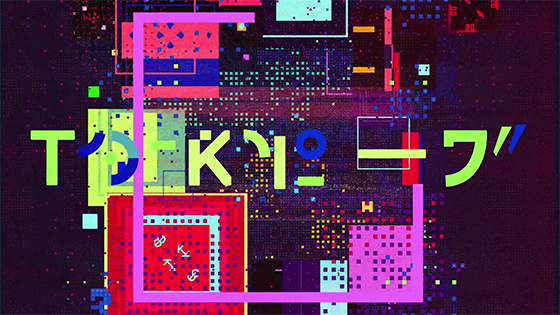 FITC is one of the few conferences that constantly delivers beautiful concepts through collaborations with great artists around the world, and as usual, they have outdone themselves this year with the release of the new FITC Tokyo conference branding. But as if the beautiful design was not enough, the recently launched opening titles, created by a team of superstars including Ash Thorp, Andrew Hawryluk, Michael Rigley, Albert Omoss, Chris Bjerre, Alasdair Willson, Nicolas Girard, Franck Deron – Yup, talk about a badass dream team – is one that will make you feel warm inside, fall in love even more with type+animation, and make you want to book your trip to Tokyo. 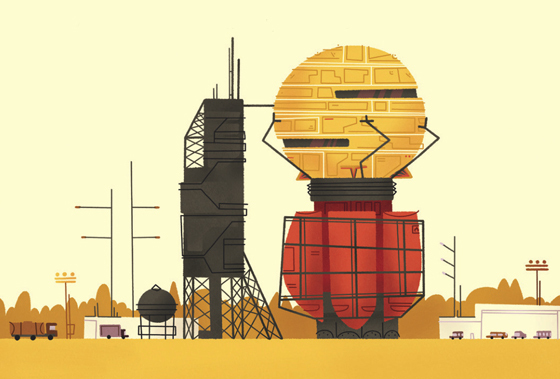 Motiongrapher interviewed these great artists about their experience and online collaboration, and here are some of my favorite excerpts. If you watched the Super Bowl last night, you watched many commercials (perhaps this is the only time you actually watch commercials instead of fast forwarding through them on your DVR) and yes, there were many good ones and many ridiculous ones. And although every site is talking about them or replaying the top 5, I wanted to share a beautiful ad spot I recently found. This new Nike+ spot, created by the talented folks at AKQA, features the amazing work of Matthieu Bessudo, aka mcbess and aims to inspire and motivate us to take on new challenges in 2015 and… outdo ourselves. We all have favorite TV shows, and as a visual type of guy, I know I am not alone when I say that we would always pay extra attention to the opening titles, animation, music, etc. Don’t believe me? Just play “I’ll be there for you” by The Rembrandts, and everyone around you will be dropping FRIENDS’ quotes within minutes. FXX’s new show, “Man Seeking Woman” recently dropped beautiful, different and interesting opening titles based on minimalist line illustrations that you have to check out. I mean, this is great news for TV – More Design is always good! 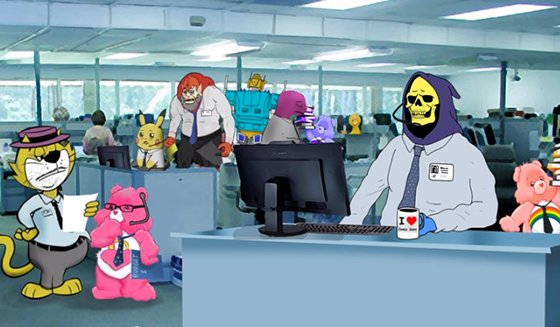 In the sequence, symbols of ordinary dating life mix with over-the-top, genre-spanning imagery, reflecting the unique narrative device used in the series. It is no secret that I am a huge Type and Lettering geek. And as such, I make a point to always follow or connect with artists I admire and whose work continually inspire me. Raul Alejandro, also known as Draw_ul online is one of these artists, and since I’ve known him for a while, I invited him for a fun interview I want to share today. 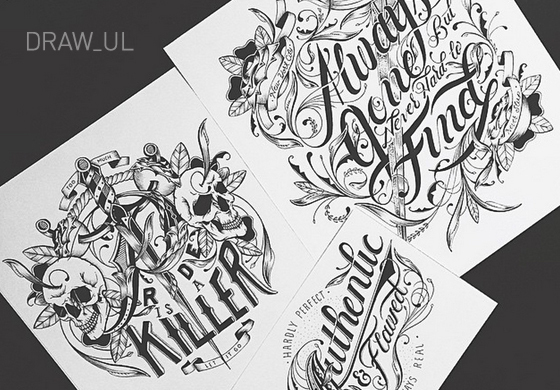 I’ve been connected with Raul via Instagram for a couple of years, and we’ve always exchanged messages or emails about his work, inspiration, and this interview as I’ve always wanted to share his work, his story and his impressive evolution as a lettering artist. If you are a Type geek like us, and even if you’re not, I am sure you will enjoy this interview and fall in love with his work. Enjoy! We all love to travel. And from each new place we visit, we always bring home something to remind us of it. 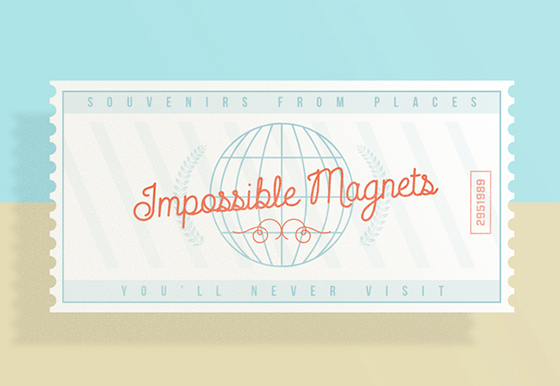 But how can we get a souvenir of a place that we’ve only visited in our imagination? That was the challenge for this great project by Martín Feijoó, in collaboration with Miguel Sousa, and Sara Enriquez. The result, a beautiful collection of fictional animated magnets featuring different books, movies, cartoons and video games. Check them out (and buy your favorite) after the jump! There are times when you stumble across work that simply blows you away. This happened to me over the weekend when I discovered the stunning photo-realistic drawings of Australian artist CJ Hendry. 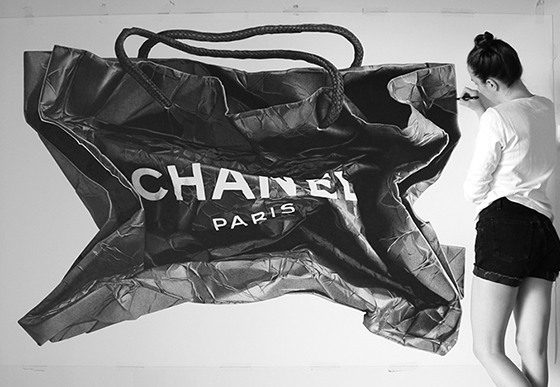 CJ is an ex-architecture student who decided to focus her passion, time, and enviable talent on creating impressive large scale drawings of objects – mostly fashion, using only paper and UniPin pens. Yes, I know… Check out some of her beautiful work after the jump.